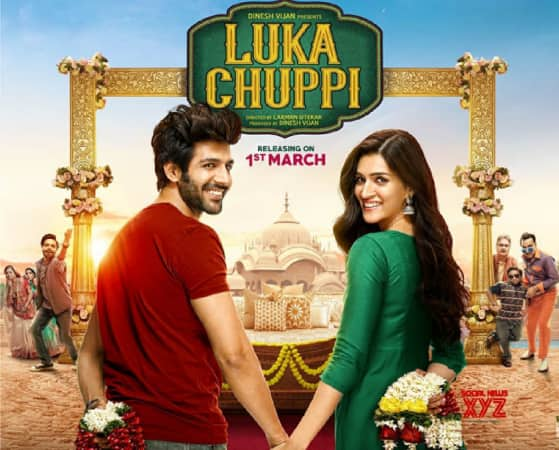 Dinesh Vijan’s Lukka Chuppi features Kartik Aaryan, Kriti Sanon, Vinay Pathak, Pankaj Tripathi and Aparshakti Khurrana in lead roles. Dinesh for some reason thought it would be great to keep the ‘Stree’ chemistry and body language going in the actors of this film as well. Unfortunately, that didn’t quite work out. In fact, this very idea resulted in the catastrophe the film happens to be. Whatever it is, just because they want to know each other, the girl suggests a live-in relationship, the guy acquiesces but are eventually ratted out by a Tharki relative played by Pankaj Tripathi. What happens next is what the film is about! A wafer-thin plot that is stretched like a chewing gum (which doesn’t even taste sweet) by incorporating caricatures whose actions are semblative to those of pied ninnies! Sad! What is the film? What is it? It was beyond my level of comprehension! Coming to the acting bit. Kartik Aaryan just cannot get over the Sonu Ke Tittu Ki Sweety and Pyaar Ka Punchnama hangover. He looks, he speaks, he behaves in an oh-so-repetitive manner. It is a pain to watch him anymore in that goofball role! Same old, same old! Kriti Sanon should just stick to modelling, she is pretty good with that. Her acting chops are better not spoken about. I am still wondering whether it was mandatory for Pankaj Tripathi to do the role. Was he under some kind of a compulsion? His presence was not only a complete waste but also an add on to the caricature element of the film and so was Aparshakti Khurana’s character. (Mind you, in the very beginning did I state that producer Dinesh tried to recreate the ‘Stree’ vibe and the incorporation of these two characters was done to make that possible!). Vinay Pathak was a relief because he brought a certain amount of plausibility to the ridiculous travesty! I mean who pronounces Gwalior as GAWALEEAR? Well, maybe some uneducated people who aren’t aware of the correct pronunciation but when you see two learned reporters pronouncing it that way, it looks and sounds ludicrous! 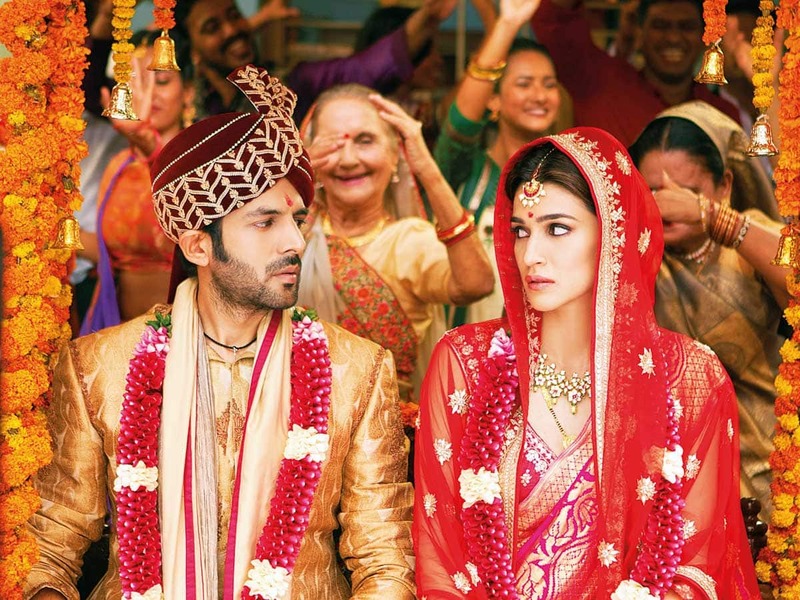 What’s more, when Abbas (Aparshakti Khurana) suggests to get the phone to play the mantras for marriage inside a ‘closed room’, the sound of the speaker phone is so loud that the echo of it can be heard almost a mile away and what’s more, it wakes Guddu’s (Kartik) brother. This scene again is laughable! The writing was shoddy, it was BAD! 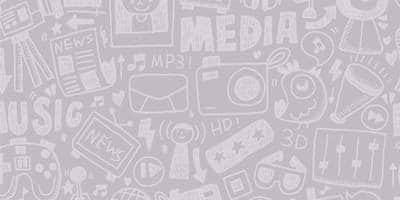 So much so that at times it felt as though I was watching some dull and stodgy television serial. The characters etched were exaggerated caricatures! There were songs when it wasn’t at all necessary! There is one sequence when Babulal (Pankaj Tripathi) who happens to be Guddu’s brother-in-law chases Guddu and Rashmi (Kriti) through the bylanes of the city and a fun Mohammad Rafi song plays in the background! That song choice for the situation was so wrong! It just didn’t go at all! What were they thinking? I mean a chase sequence, that is supposed to look funny and, in the background, there is an old romantic song playing that has been remixed with some ‘Jhankar beats’ of sorts! Oh yeah, the music – well, there wasn’t any original song all were remakes of the yesteryear songs! So, there isn’t much to say in that department either besides the fact that originality is nowhere to be found nowadays! The camera work was just an okay job done because anyway the film didn’t have any scope. Just occasional pan shots of the Ganges with the shores lit up in the evening or the dusk shots of the cityscape and the scattered drone shots. Laxman Utekar surely is a good cinematographer but when it came to directly. He fell flat! All in all a very bad film!